Abortion and race, two of America’s most volatile topics, have intersected in recent flare-ups related to the disproportionately high rate of abortion among black women. In Congress, Rep. Sean Duffy, a white Republican from rural Wisconsin, lambasted black members of Congress for failing to decry these high abortion numbers. 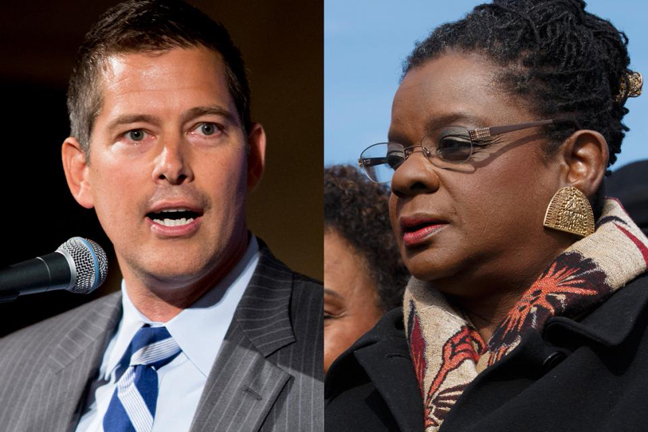 The next day, Rep. Gwen Moore, a black Democrat from Milwaukee, fired back — accusing Duffy and his GOP colleagues of caring about black children only before they are born. In Missouri, a white GOP state legislator, Rep. Mike Moon, introduced a “personhood” bill that would effectively outlaw all abortions, and titled it the All Lives Matter Act. Abortion-rights activists were indignant, saying Moon was provocatively co-opting the Black Lives Matter slogan that has been used to convey concern about the deaths of unarmed blacks in encounters with police. The disputes have drawn attention to abortion’s racial demographics just ahead of Friday’s annual March for Life in Washington, D.C., a gathering of anti-abortion activists to mark the anniversary of the U.S. Supreme Court’s 1973 Roe v. Wade decision establishing a nationwide right to abortion. The statistics themselves are not in dispute. While blacks comprise 13 percent of the population, black women account for more than 30 percent of the estimated 1 million abortions performed annually in the U.S.
Over the years, some anti-abortion activists have attributed this phenomenon to black communities being “targeted” by abortion providers with the aim of curtailing the black population. Abortion-rights supporters reject this assertion, and say the high black abortion rate reflects the impact of poverty and lack of access to effective contraception. Duffy tapped into this debate in his remarks on the House floor earlier this month. The Congressional Black Caucus said Duffy’s remarks were offensive, and Moore took to the House floor to accuse Duffy of hypocrisy given his lack of support for some social programs that could aid children and mothers in low-income families. Duffy refused to back down from his remarks, and was defended by some black anti-abortion activists. “We are not offended — we agree with him,” said Alveda King, the niece of civil rights leader Martin Luther King Jr., and director of African-American outreach for Priests for Life. King said there were ways to support black families without endorsing more spending for major government social programs — she mentioned crisis pregnancy centers and support for home-school parents. As for unintended pregnancies, she said they could be reduced through abstinence. Duffy’s comments and the All Lives Matter Act are among numerous recent examples of abortion opponents modifying the Black Lives Matter slogan for their own purposes. At Chicago’s March for Life on January 10, black pastor Corey Brooks called for greater anti-abortion activism in black neighborhoods. In Missouri, the All Lives Matter Act was assailed by Alison Dreith, executive director of NARAL Pro-Choice Missouri. Another point of friction is the use of billboards by anti-abortion groups to spread their messages in black communities. In Memphis, black activist Cherisse Scott led a counter-campaign. Her group SisterReach placed billboards with the message “Trust Black Women,” accompanied by appeals for better schools, health care and economic opportunities. Scott said she underwent three abortions before gaining the confidence to give birth. To some black opponents of abortion, the No. 1 nemesis is Planned Parenthood. It is the nation’s leading abortion provider, as well as offering birth control, cancer screenings and testing for sexually transmitted diseases. Planned Parenthood says only 4 four percent of its health centers that provide abortions are in communities that are more than one-third black. Angela Ferrell-Zabala, Planned Parenthood’s director of African American leadership and engagement, depicted the attacks on her organization as an attempt to “create diversion from the real issues” — economic inequality and access to health care. Dr. Willie Parker, a black abortion provider based in Birmingham, Alabama, said anti-abortion activists tended to disregard the fact that many black women who get abortions are devoted mothers who already have children. Advocacy groups on both sides of the abortion debate have scheduled several events ahead of the March for Life. On Tuesday, scores of people shared their personal abortion stories during a live-streamed “speakout” aimed at reducing the stigma of abortion. On Wednesday, abortion-rights groups Public Leadership Institute and National Institute for Repro­ductive Health announced an initiative to counter the wave of anti-abortion laws being passed by Republican-controlled state legislatures. And on Thursday, several anti-abortion groups plan a protest at the site of a proposed Planned Parenthood clinic in Washington.